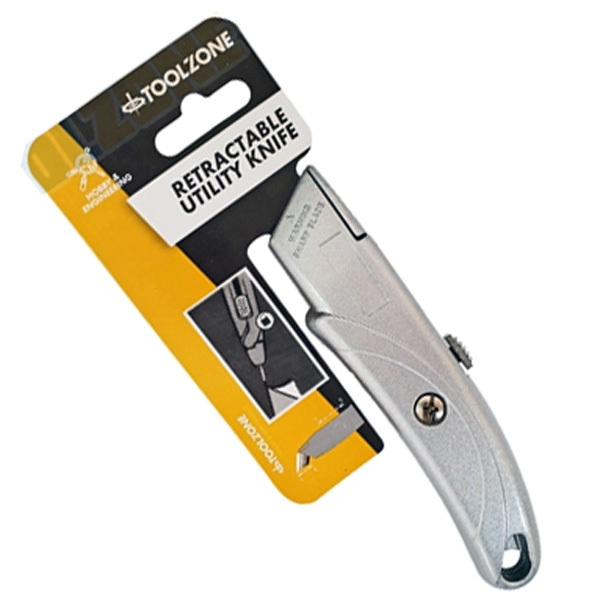 Toolzone Tools 8 piece 9mm small snap of knife blade set. 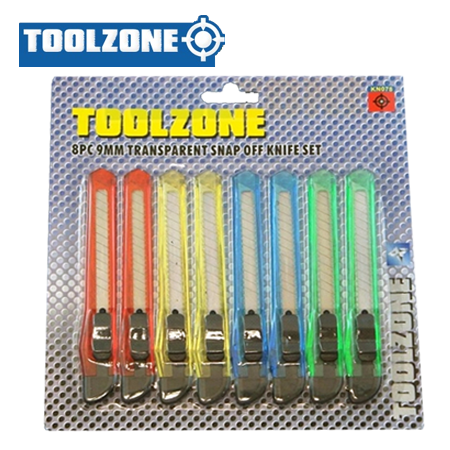 A pack of 8 knives in a variety of transparent colours (this may vary from picture shown). Each knife measures 130mm approximately and all are complete with the practical snap of blade configuration for when the current cutting blade becomes blunt or dull during use. Each knife has a safety blade lock mechanism to avoid any extra blade being extracted during use. Current colours are as per the picture but please note that this may differ with new stock as it becomes available. A perfect budget hobby and DIY tool.